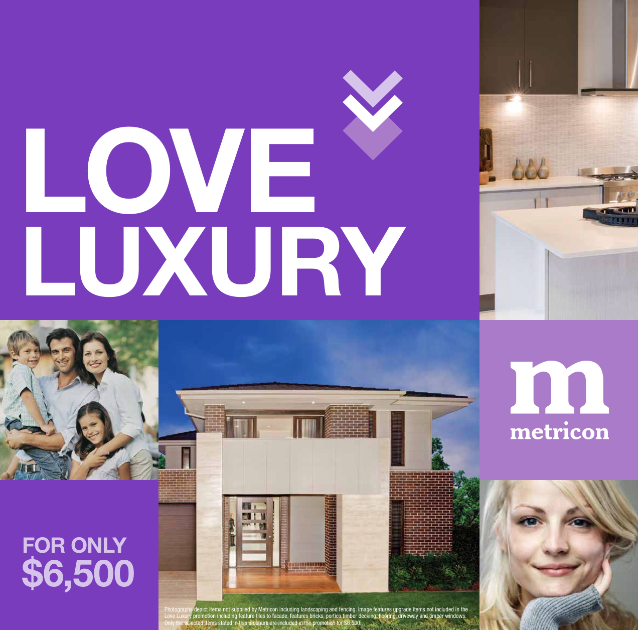 If you live in NSW and thinking about building with Metricon, check out their latest Love Luxury promotion. The inclusions in this round of promotion are hands down better value than the previous Hot Right Now promotion. I’m jealous of the FANTASTIC inclusions that we missed out on. I reckon there’s over $10,000 worth of extras on offer. If we could swap promos I’d do it in a heartbeat! I’ll have to try my luck to see if Metricon can give us a better deal on some of these goodies. Here’s hoping! That looks like a great offer. Tell me about it. I’m so annoyed that the promo we’re on is nowhere near as good as this one. Of course base price has also gone up so I guess you win some, you lose some.